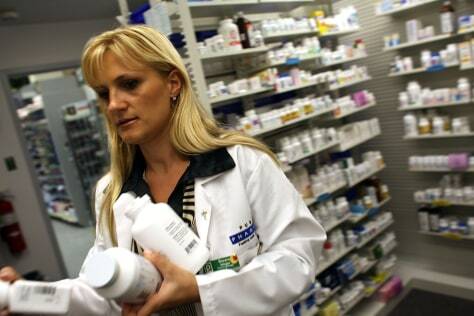 Roxana Selagea, a Publix Supermarket pharmacy manager, retrieves bottles of antibiotics from the shelf. The grocery chain began offering the drugs for free in 2007. Since then, several other chains have followed suit, sparking concerns from health experts worried about rising drug resistance.